Clicking on this image will show it larger in a new window. 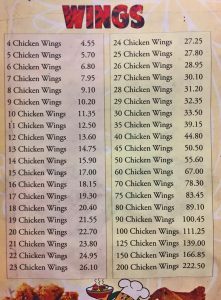 Danny's Wok in Philadelphia has a huge price list for ordering their famous chicken wings. 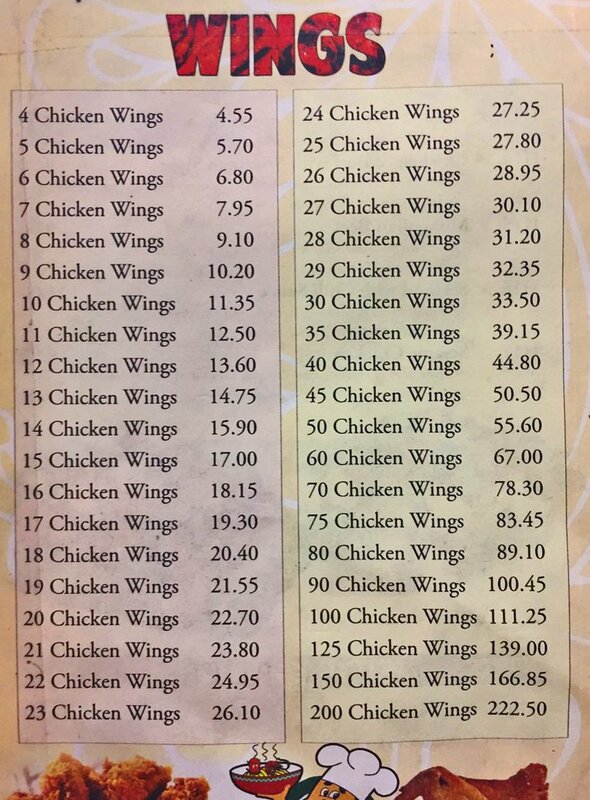 Why did they write the prices this way? Could they have made this menu simpler? What pricing method would you suggest? For members we have an editable Word docx and tips, solutions, and experiments.